As much as we train and love our pets, we do have to have protection for the the not so proud moments that can happen. It is a good idea to be vigilant about your dog’s interactions with visitors to your home. Typically, the liability portion of your home insurance coverage should cover the actions of your pets if they damage items that you don’t own or if they injure people who do not live in your house. In general you can purchase home insurance protection for your pets indiscretions for most types of domestic pets. Some insurance companies will provide you a list of certain types of dogs that they may consider not insurable. What they are basing their information on is the breeding history, temperaments and the risk factors. So, if a particular dog breed has a documented history of attacks or bites, some insurance companies may consider this risk to be too high, thus causing the company to deem the breed UN-insurable. Exotic animals, such as snakes, tigers, etc., also may fall in the not-insurable category. Check with us today to see if owning any of the pets above has limitations. When you apply for home insurance, disclose information about any pets you have to ensure your policy will properly cover you involving your pet. 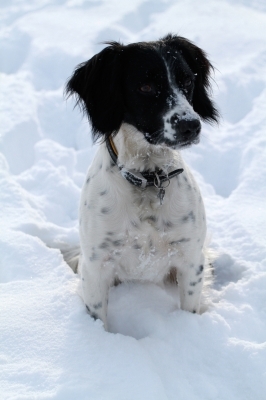 The winter cold and snow makes it harder to take your dog out for walks or play in the yard for more time then you normally would. This can cause your dog to get out of shape and be bored. You can keep your dog active during the winter by doing things indoors that are fun for both of you. Your dog should be walked at least once a day for fresh air, exercise and mental stimulation. Protect their paws with booties. The salt and other chemicals used on sidewalks and streets can be harmful. Make sure you remove the booties upon entering your home and rinse them off. For dogs with shorter hair, put on a sweater for them as well. Play fetch up and down the staircase or play in the basement. You want the dog to have room to stretch its legs fetching and bringing back. Have a treat or favorite toy you can hide for your dog to find. DoggieBuddy.com has some great ideas for this. 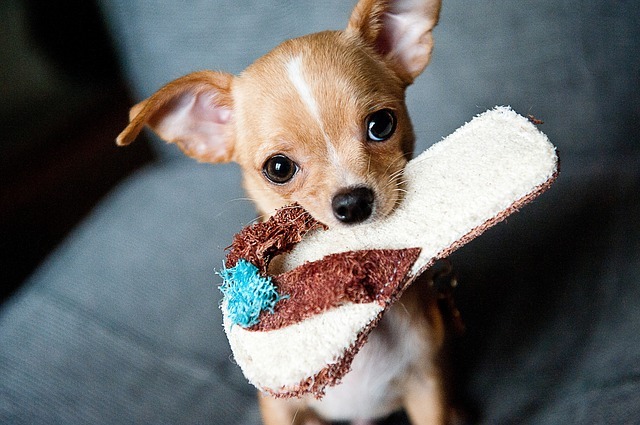 Give your dog a chew toy they can work on for a while to help with boredom. There are many to choose from online to your local pet store. You want a toy that has food in it that they have to work for. Indoor dog parks are another great way for your dog to interact with other dogs, get exercise and with out the could wintry weather. Take advantage of the obstacle course if available, which most indoor parks have.